B2B Alliances is not just another enterprise; it is a commitment; it is a mission to deliver best solutions throughout the entire business operations. Two enthusiasts carrying enormous expertise, experience and professionalism combine forces to form a fantastic business structure, intended to offer a variety of tailor-made solutions under one roof. Along with their combined professional expertise, they bring to the table their rich understanding pertaining to specific needs of the customers. Having served for years in different international organizations across a variety of verticals and domain, they are now ready for the greater role of client servicing by putting into practice their innovative ideas, out-of-the-box thinking and everlasting enthusiasm. We at, B2B Alliances, strive not just to meet but exceed our clients’ expectations by serving them with best-in-the-industry services and maintaining paramount quality and timelines standards. B2B Alliances aims at assisting the business-to-business enterprises across the globe to generate great ROI. Backed by hefty combined experience and specialization of our stupendous management team in starting and sustaining business-to-business operations, we are able to meet our business objectives successfully. Our B2B expertise spans different businesses across international boundaries, ranging from BPO services to providing innovative marketing solutions. We are experts at designing and implementing marketing strategies, generating funds to ensure seamless flow of operations and identifying and developing potential markets. We have partnered with established enterprises in a symbiotic association that assist us at different steps of our business operations and empower us to complete our commitments. We aim to create the smiles of satisfaction through our ability to come up with most innovative and best-in-the-class service standards. We envision ourselves as an organization that people trust and recommend. Sumit is a BE in Industrial Electronics, complemented by master's in Business Management. 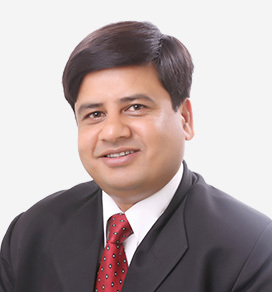 He has got 23 years of massive experience in Telecom industry; he has worked in different domains including Sales and Operations, Marketing & Business Development, Strategy Planning, Distribution Management and Relationship Management. His journey, as a successful and skillful leader, transverses through the renowned Telecom giants including MTS, Airtel and Tata Telecom. Nitish, a management graduate, has an eventful professional journey. 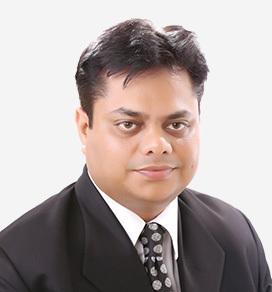 Having 15 years of combined experience in Sales & Marketing, Profit Centre Operations, Business Development, Channel Management and Team Management, he has developed supreme expertise across Telecom/IT Infrastructure. A former employee of Bharti Airtel and HCL, Nitish is a proactive leader with a flair for charting out marketing strategies, market plan execution and contributing towards enhancing business volumes/growth.